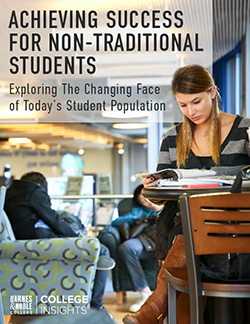 Barnes & Noble College will be among over 200 exhibitors at this year’s National Association of College and University Business Officers (NACUBO) Annual Meeting. The annual meeting is taking place at the Gaylord Opryland Convention Center in Nashville, Tennessee from July 18-21. The NACUBO 2015 Annual Meeting will attract hundreds of exhibitors and over 2,000 attendees looking to gather ideas, find solutions, and tackle many of the problems and challenges that affect the higher-education industry and institutions. 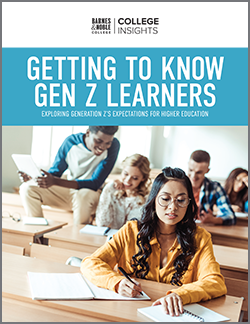 This year’s theme, The Tempo of Change, will highlight today’s higher education environment: New models of success require nimble, knowledgeable teams paired with the right resources. Attendees can visit booth #301 and learn more about how Barnes & Noble College is delivering what’s next – transforming campus bookstores into social and academic hubs by expanding affordable course materials; setting the digital learning standard; building deeper connections with students, faculty and alumni; and delivering the ultimate shopping experience. In addition to being an exhibitor, Barnes & Noble College is proud to be a Diamond Sponsor of this year’s annual conference. NACUBO is a membership organization representing more than 2,500 colleges, universities, and higher education service providers across the country and around the world. NACUBO specifically represents chief business and financial officers through advocacy efforts, community service, and professional development activities. The association’s mission is to advance the economic viability and business practices of higher education institutions in fulfillment of their academic missions. 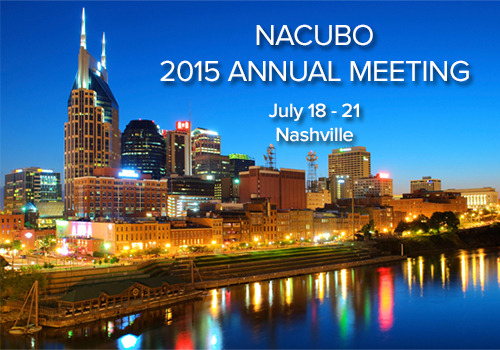 For more information on the NACUBO 2015 Annual Meeting, visit www.nacuboannualmeeting.org.